A handful of olives each day improves the health of the body. The history of the sacred olive tree’s goodness extends from peace offerings between “The Powers” of countries and cities, to its fruit’s medicinal benefits. Before presenting how the olive is processed, enjoy some trivia on the olive tree and it’s influence on society. Genesis states that Noah received an olive branch from a dove once the flood waters receded. Christians continue with the tradition of exchanging small olive branches as a sign of peace one week before Easter. The name Athena is said to bare the name of the Olive Tree with the Olympic Crown being made of olive branches. Olympians and other individuals used olive oil to make their skin more supple. Extra Virgin Olive Oil (EVOO) is used as a medicine in order to improve healthy cholesterol (HDL) and reduce the bad cholesterol (LDL). The quality of nutrient’s work as a hammer and chisel, helping to reduce plaque build up in veins and arteries. Thousands of years of history and research have shown the importance of olive oil. World history indicates that in 2000 b.c. Egyptian’s imported Olive Oil from Crete, Syria and Canaan. Generations of farmers and their knowledge on handling of the fruit is passed down through time and right to our kitchens where the tree of life provides us with vitamins and minerals that satisfy our bodies keeping them healthy and strong. Homer called it “Liquid Gold” and so the name stuck since Greek times. Extra Virgin Olive Oil, a name from “Oleum” (oil ) Gk and “Elaion” (olive tree ) Gk, originates from “El’yon” (meaning superior) Gk. Todays largest producers of Olive Oil are: Spain, Italy and Greece. Spain & Italy perform multiple presses on olives, while Greece is the number one producer of Extra Virgin Olive Oil (a single first press). Olive trees are pruned yearly. The height of fruit production is 20-25 years per branch and then it is removed. By alternating the cultivation of branch shoots, olive trees can live 300-600 years. In late fall and early winter, large nets are spread around the tree, olives are combed from the branches with rakes, combs or shakers, then placed into a large wagon. They await their press within the first 24 hours of being collected. 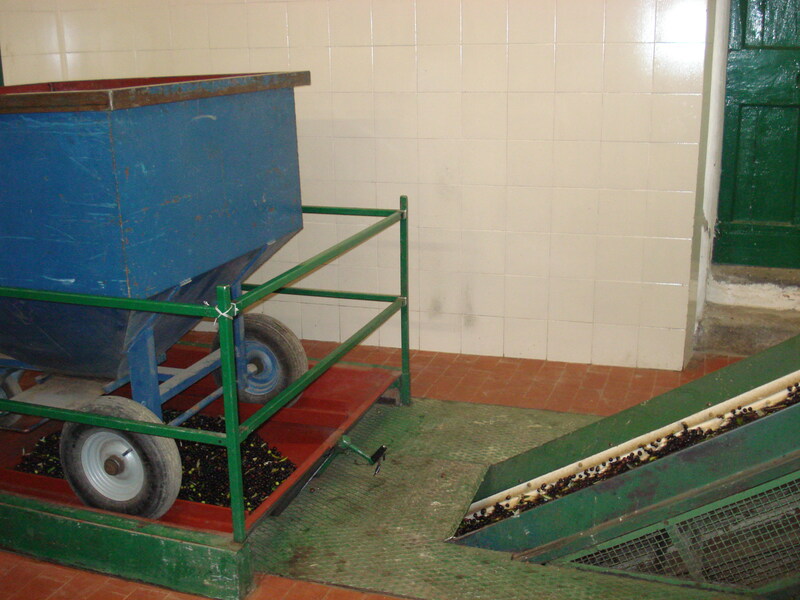 The olives are removed from the wagon and elevated into a wash bin, separated from leaves and insects, ready for press. Olive presses have evolved over time! Two stone wheels once stood vertically to each other with a large pole balancing them in the center. 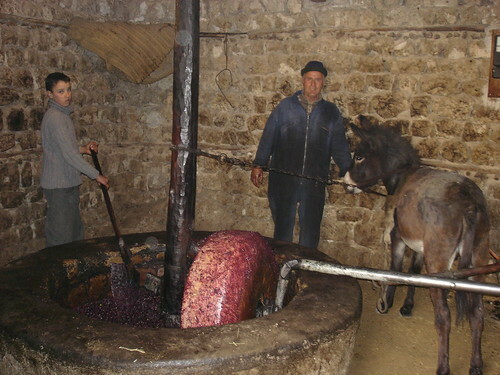 A donkey was roped onto the pole and would walk in circles, causing the wheel to rotate and press the olives, resulting in a beautiful green ribbon oil streaming from the attached siphon. Archaeologists found 100 olive oil presses dating back to 1600 b.c. in “the fertile crescent”, the stomping grounds of Lebanon, Israel and Palestine. 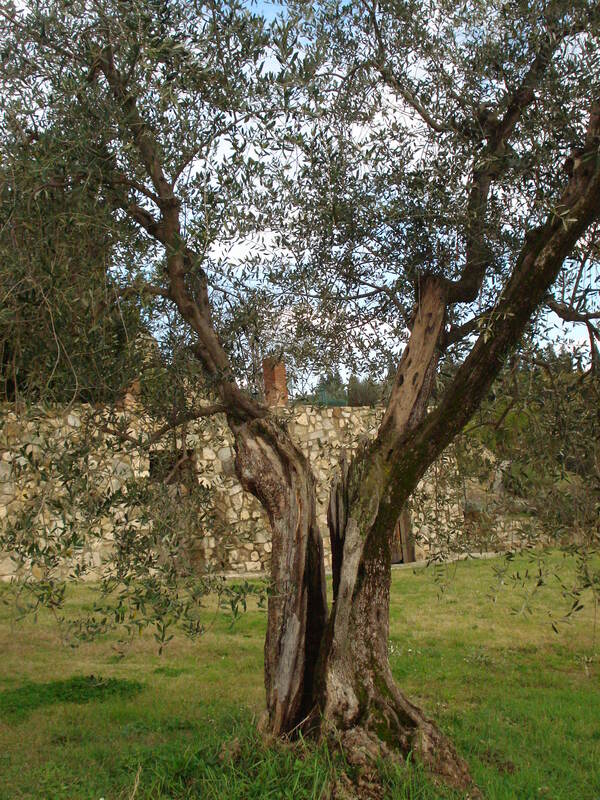 The ancient presses would have produced between 1,000 to 3,000 tons of olive oil per season. Once in press, the water and oil are separated from the olive. Today olives are more easily pressed with their oil extracted and water being separated from the fruit. There are 3 presses performed on a single olive in modern times. Description of “Cold Press Oil” is reference to when the olives were obtained and pressed; November-January for most countries north of the equator! Looking through the screen, one can observe the pressing of the olives! The filaments are an earth color, soon to come out yellow-green as the pits and olive skin are sorted from the oil. 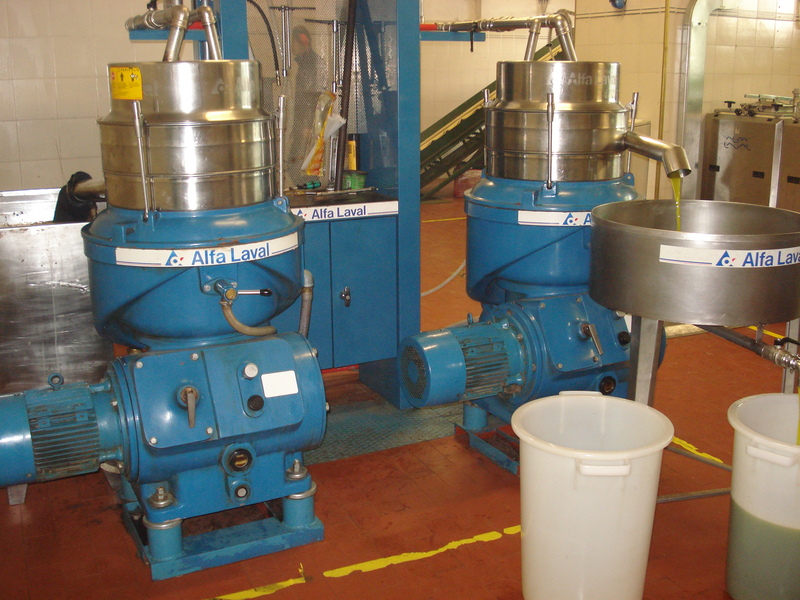 Olives endure 3 presses. 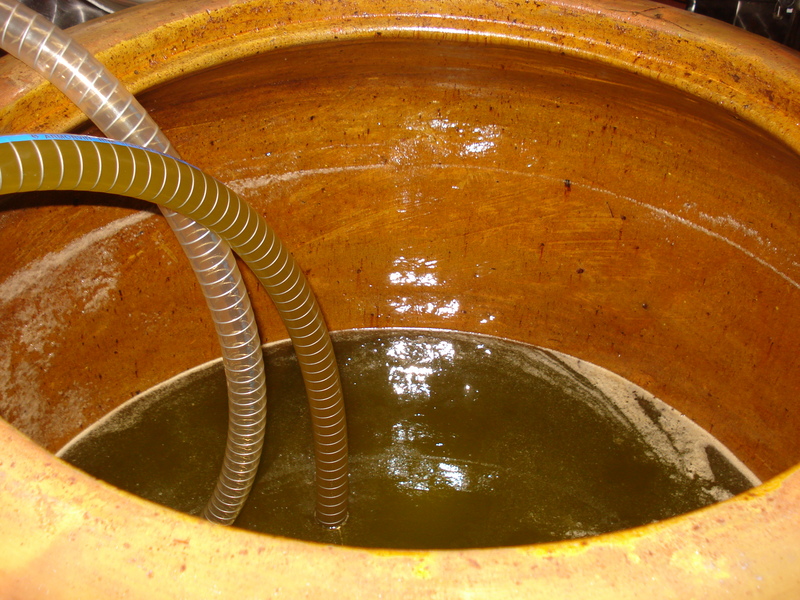 The virgin press has the highest quality of nutrients and is dark yellow-green in color. Extra Virgin Olive Oil has a color of dark yellow-green and holds a superior quality in vitamins and minerals. It is preferred to NOT HEAT EVOO, but instead use it on fresh on salads, vegetables and breads. Second press, a pale yellow oil, is used for low-heat sautéing of garlic & onion, a precedent to sauce making. Third press, yields clear oil, considered a poor quality with very few nutrients, often combined with a pat of butter for frying. Understanding olive oil and how or why it is used in various recipes provides one an opportunity to achieve the best dietary results in keeping a family healthy. Whisk together 1 Tbsp EVOO, 1/2 Tbsp balsamic Vinegar, pinch of salt and pepper, 1 tsp parmesan cheese and serve on baguette or salad. Vegetable salad. 1 tomato diced, 1 cucumber peeled and diced, olives, 1/2 c. arugula leaves. Combine with 1 Tbsp EVOO, pinch of pepper and oregano.